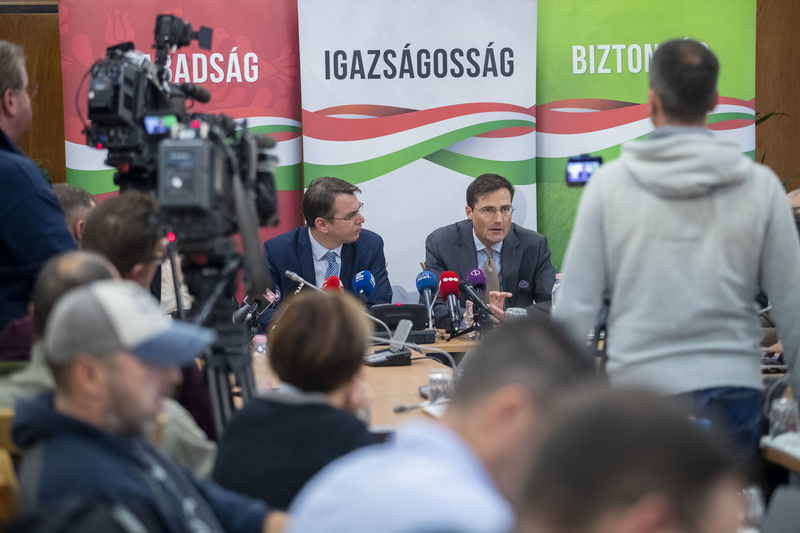 In their joint press conference on Wednesday, Jobbik’s executive vice president Márton Gyöngyösi and the Jobbik-delegated Chairman of the Hungarian Parliament’s National Security Committee Ádám Mirkóczki declared they would not let the Fidesz government hide a convicted criminal in Hungary and turn our country into a haven for culprits running from justice. Mr Gyöngyösi announced that Jobbik was going to turn to the European Commission (EC) and request the body’s position on the rule of law and judicial practice in EU membership candidate Macedonia. According to the opposition MP, if the EC finds no fault with the rule of law in Macedonia and establishes that Macedonia’s judicial practice complies with the democratic norms, then “the situation becomes clear in terms of asylum and other procedures: Hungary will have no discretion in the matter and must extradite Mr Gruevski to the Macedonian authorities". Mr Gyöngyösi emphasized how absurd the situation related to Mr Gruevski had become, raising countless questions about the potential liability of the Orbán government as several members of the body, including Gergely Gulyás, Zsolt Németh and Viktor Orbán himself, had personally met the ex-PM who had been convicted on corruption charges. He also noted that the business circle of the Prime Minister’s advisor Árpád Habony had run several investment projects in Macedonia under the rule of Mr Gruevski who is currently on the internationally wanted list, while Hungarian Foreign Affairs Minister Péter Szíjjártó even delivered a speech at a campaign rally of the fallen politician. As Jobbik’s vice president put it, it is important to clarify why the Ministry of Foreign Affairs would use the means of Hungarian diplomacy to smuggle out a politician, who was convicted to imprisonment on corruption charges in his own country; and why the Hungarian government, which seems to be so sensitive about immigration, would exempt Mr Gruevski from having to wait for the decision in the transit zone. The Jobbik-delegated Chairman of the Parliament’s National Security Committee Ádám Mirkóczki emphasized that the Fidesz government’s chaotic communication, full of contradictions and lies about the Gruevski scandal, might have grave consequences for Hungary. Talking about the National Security Committee meeting held on Tuesday, he said that the representatives of the Hungarian intelligence services and the foreign ministry failed to show up because, as they claimed, they had no relevant information on the matter. He pointed out the contradiction between this statement and Péter Szijjártó’s admission that Nikola Gruevski was transported to Hungary by Hungarian diplomats. “Hungary’s government misled the Parliament’s National Security Committee,” Mr Mirkóczki stated, adding that there had been no such scandal in the past 10 years. As he put it, the only logical explanation for the government’s secrecy was that the Gruevski procedure was not conducted lawfully. “An affair like this can cause much more damage to Hungary than you might think at first because it raises suspicions in the partner services within both the European Union and NATO,” Mr Mirkóczki suggested, commenting that the allied intelligence services might become reluctant to fully cooperate with their Hungarian colleagues, which would pose a huge security risk for our country. 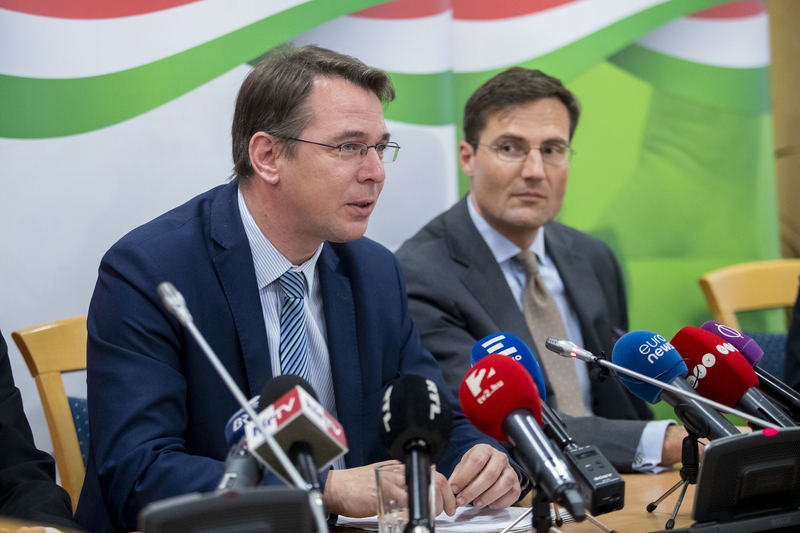 The Jobbik MP concluded that contrary to the Hungarian government’s statement, the decision on Mr Gruevski’s case was not legal but political, which questions the rule of law in Hungary. Answering questions from the media, Mr Mirkóczki said that Hungary had declared Macedonia a safe country in 2016 so that we would not have to receive illegal migrants from there, while the statement of the US government had just announced that the judicial procedures leading to Mr Gruevski’s conviction had been completely lawful. Click here to see the video of the press conrefence.